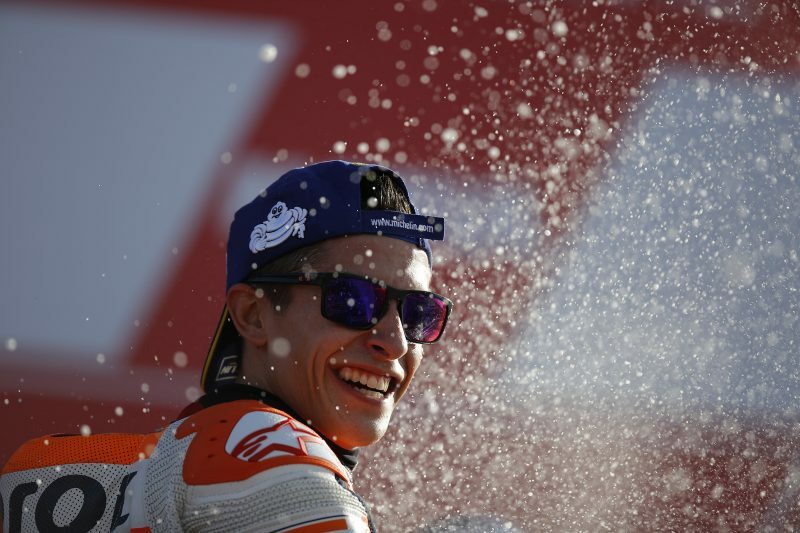 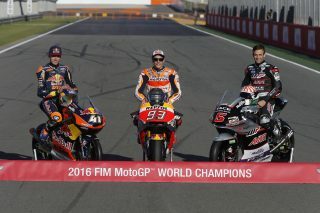 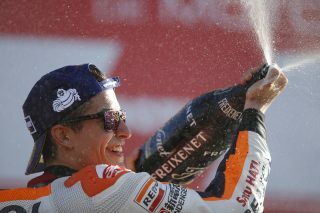 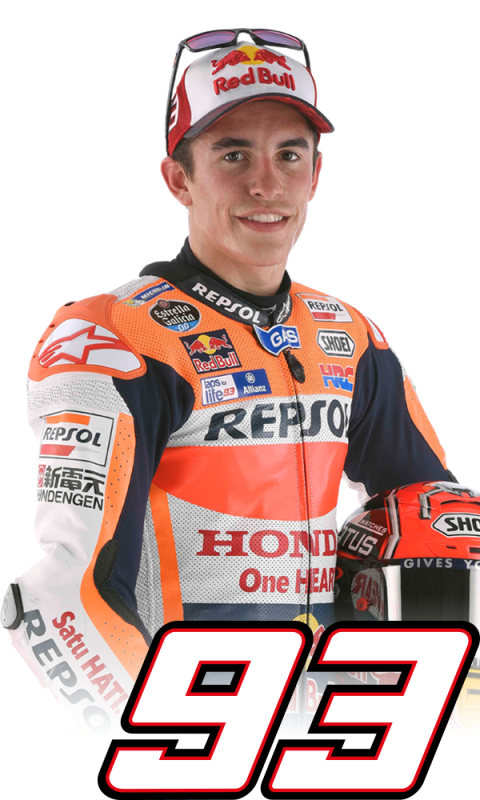 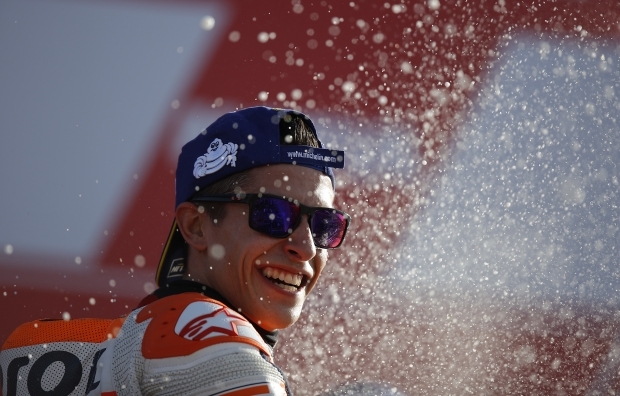 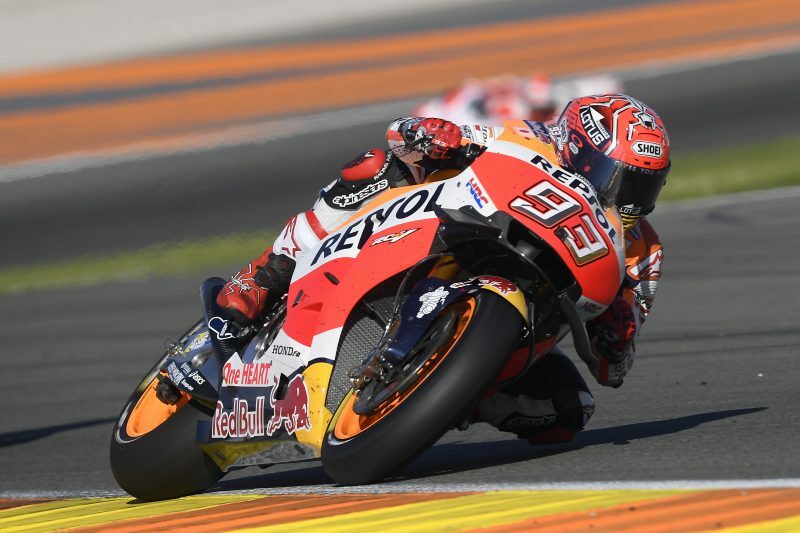 Marc Marquez returned to the podium in the 150th GP of his career, scoring an important second-place finish in the season-finale Grand Prix de la Comunitat Valenciana and helping Honda secure its 22nd Premier Class Constructor title during its 50th Anniversary racing in the division. 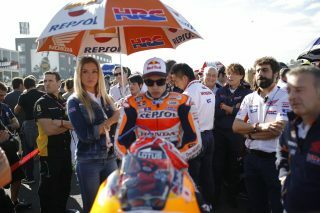 Marc didn’t have a great start from the front row and found himself in fifth by the end of the first lap. 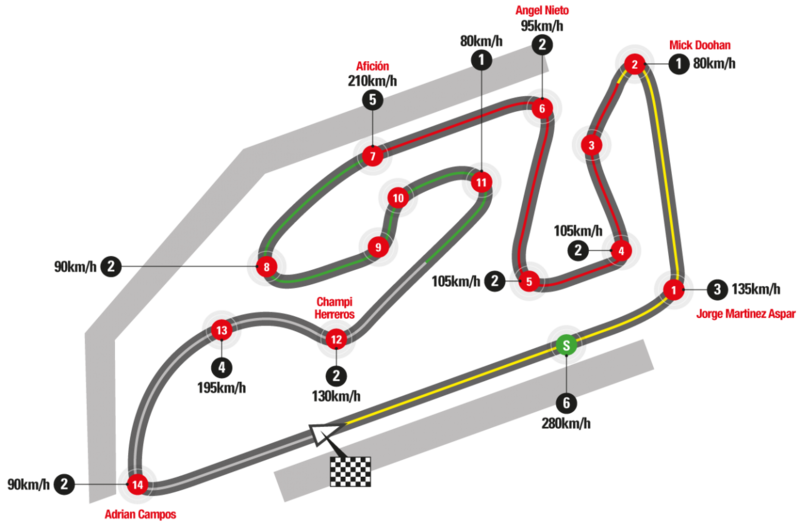 He overtook Maverick Viñales for fourth position on the sixth lap and stuck close to Andrea Iannone and Valentino Rossi’s battle for second, while eventual race winner Jorge Lorenzo pulled a gap at the front. 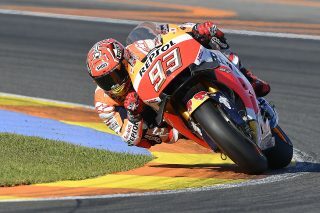 Marc improved his speed as the race progressed, and between laps 19 and 20 he passed the two Italians. 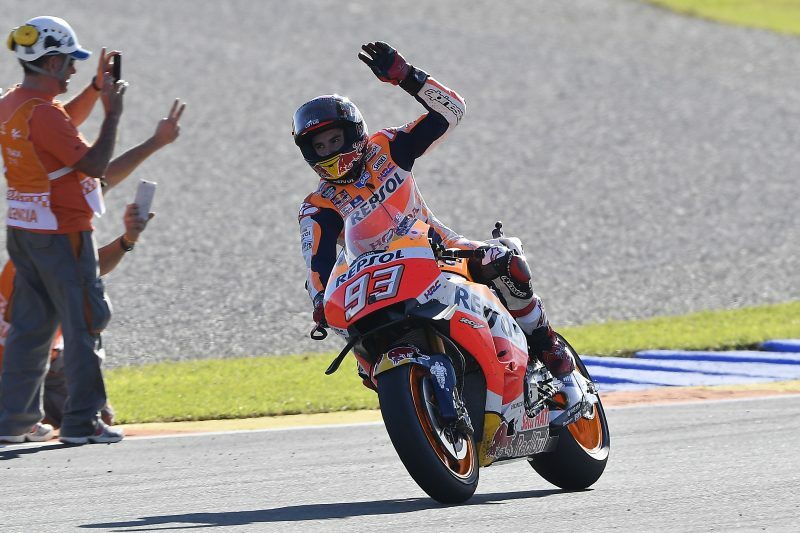 As he began putting in a series of impressive lap times in the mid-1:31 range, he cut his gap to Lorenzo from 5.437 with 10 laps remaining to 1.185 seconds at the finish line. 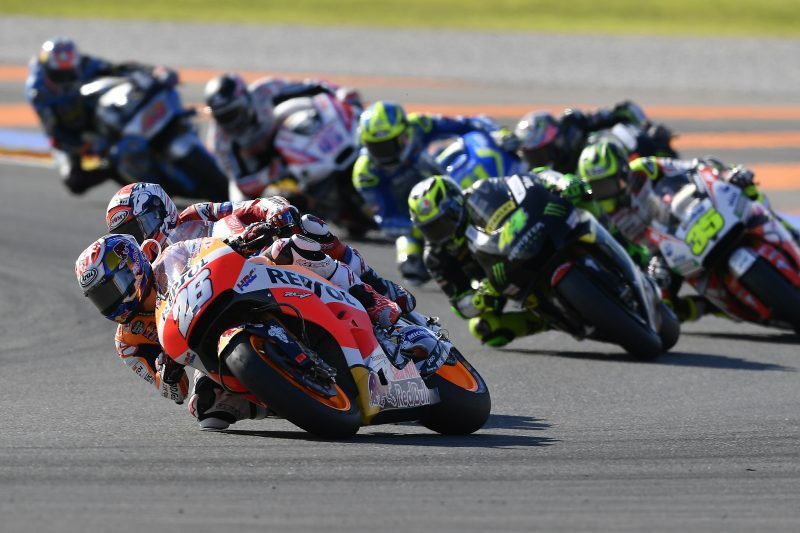 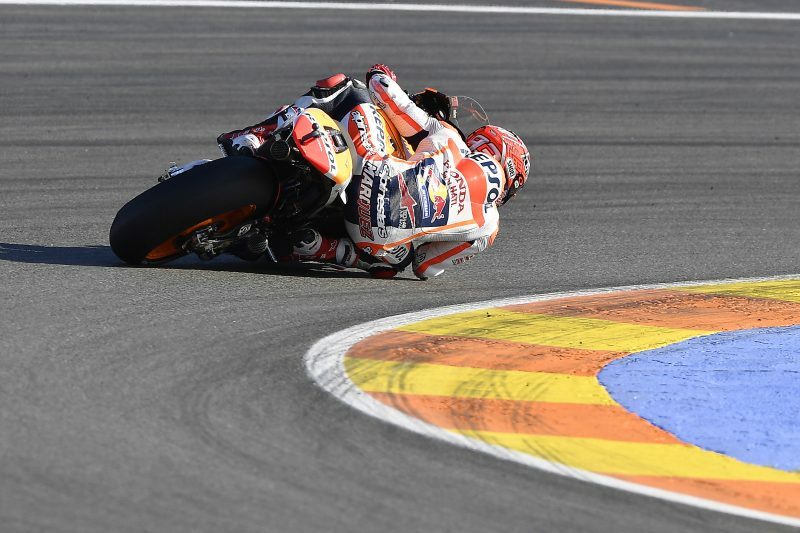 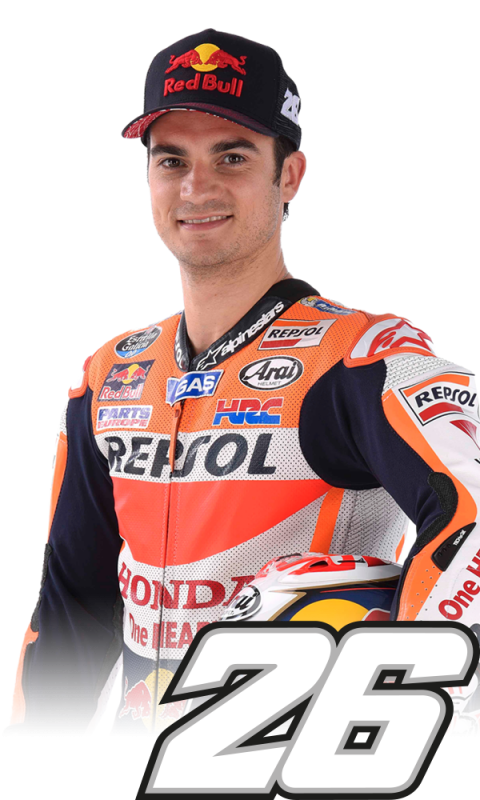 After making a strong comeback and displaying good speed during the Valencian GP, Dani Pedrosa escaped a turn 2 crash uninjured on the seventh lap of the race, when he was in seventh position. On Tuesday and Wednesday, the Repsol Honda riders will return to action for a two-day post-race test.